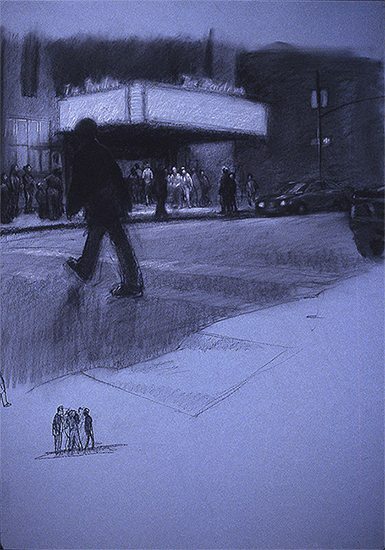 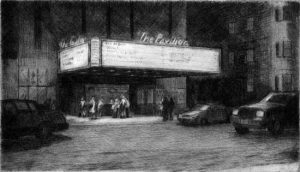 ERIC MARCH uses a variety of styles and techniques to capture the motion and feel of New York cityscapes. Moving deftly between media and ranging from luscious, luminous watercolor to near photo-realist oil painting, March uses all the tools available to an artist to capture the essence of his scene. 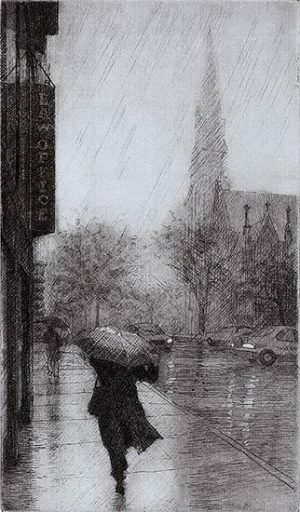 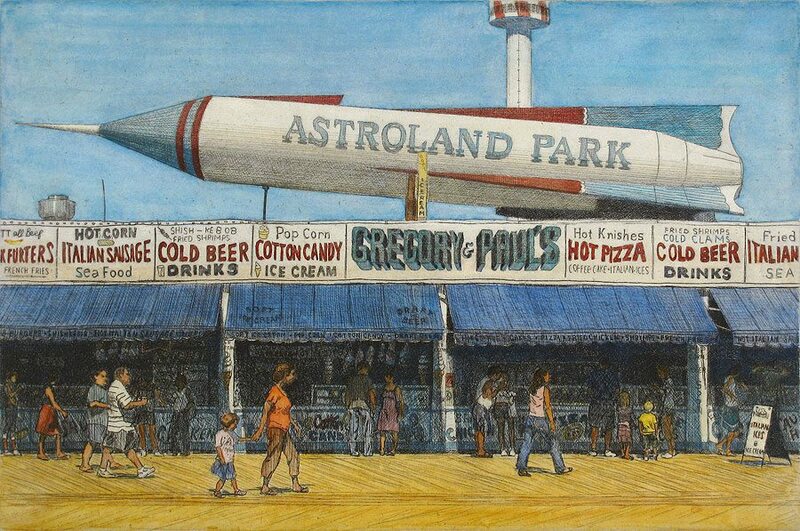 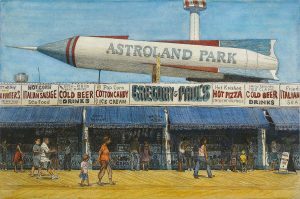 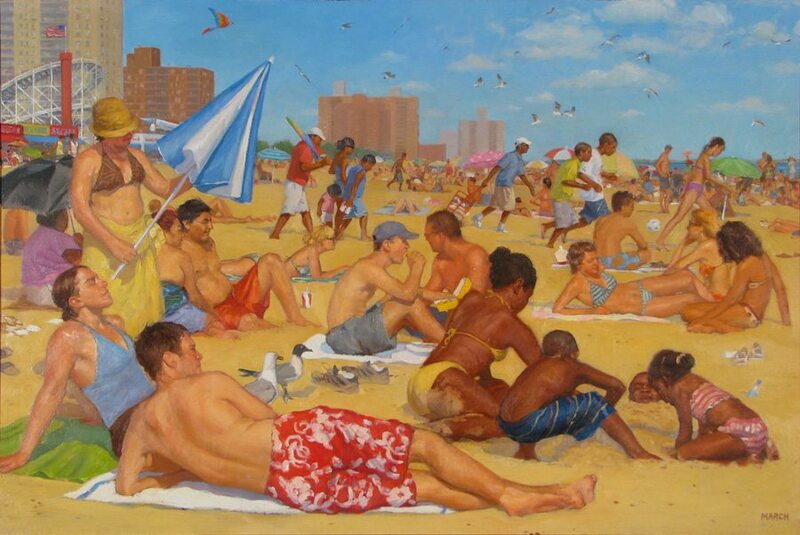 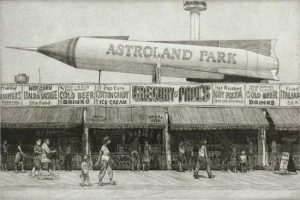 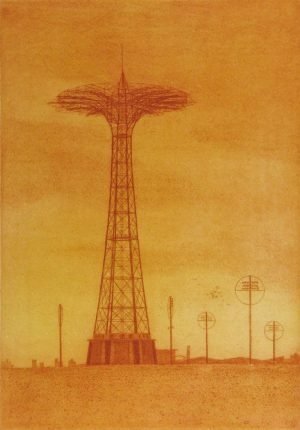 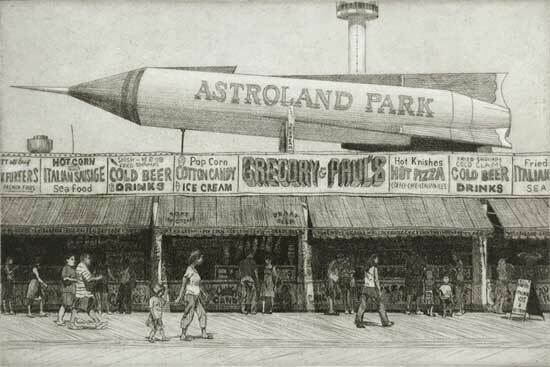 His subject matter is just as adventurous, as diverse as a subtle, delicate city street scene in the rain to a fully realized Renaissance-like composition in which he turns a casual Coney Island beach scene into a monumental work of art.